This Platinum Tools Tele-Titan Modular Plug Crimp Tool delivers even pressure on each of the plug's pins, which ensures precise termination. This crimp tool works like a coax compression tool and delivers straight action termination. 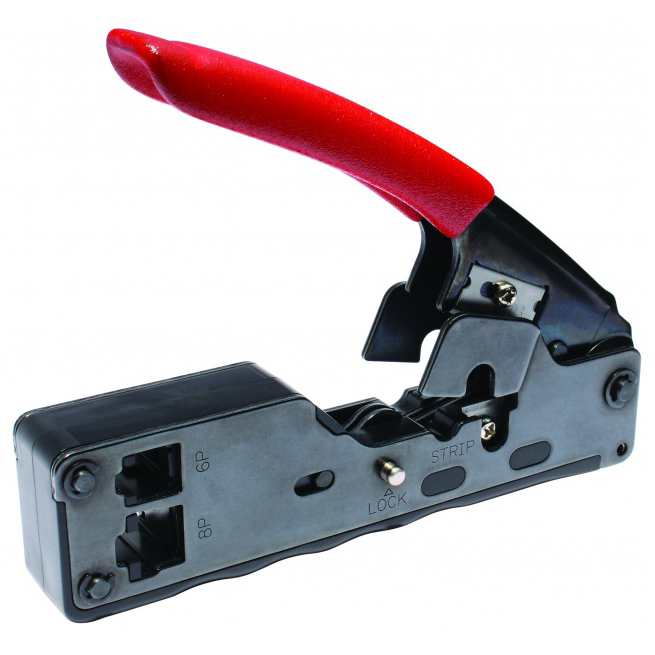 Features an embedded cable stripper for round & flat cables and a built-in cable cutter. Comes in Clamshell packaging.